August 21, 2017 – Mister Journalism: "Reading, Sharing, Discussing, Learning"
Arizona has always been on the forefront of school privatization. Right now, things are heating up as they follow the path of promoting vouchers through any means necessary. In their case this has involved starting small with who-could-object students (special needs, native Americans) used to pilot a program that legislators now want to expand. At the moment, voucher opponents may have won a chance to stop vouchers via ballot initiative, but it won’t be easy. Arizona is an ALEC-friendly state, and the Goldwater Institute has stage-managed the growth of charters and the rise of vouchers from right within the state. When Hay started working on school choice reform, “It was a free-market argument, which of course pits Republicans versus Democrats,” she told me. She and her cohort have since found success by approaching vouchers as a social justice concern, she said. “In the beginning, it was, ‘Oh no, these are going to be the death of public school education.’ That opposition is pretty much over. Sound familiar? 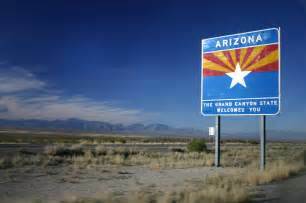 Arizona has been a booming state for charters and wants to blossom its charter crop as well. And pay extra attention, because they did it without one of the favorite reformster talking points. Arizona has public school open enrollment. That means that no child in Arizona is “trapped” in failing schools just because of her zip code. And yet they have still sold choice as a rescue operation. True, schools are allowed to cap their open enrollment at capacity, but still, in the midst of everything else out there, it’s an impressive feat to sell charters as an escape to folks who aren’t even trapped in the first place. Is Fighting Fascism really an American Tradition? There have been a great deal of memes floating around on social media in the past week, many of them in response to the White Supremacist violence that took place in Charlottesville. Many of these memes address white supremacy and fascism. However, as is the case with most memes, they tend to oversimplify reality and sometimes distort reality. Take the meme here on the right. It says, Anti-Fascists disrupting a large gathering of white supremacists. The image clearly is from WWII, with the US military deploying troops, getting ready to do battle with Nazis. Now, it is possible that many US soldiers who were drafted into WWII, believed that they were fighting fascism, but that does not necessarily mean that the military and political leadership in the US was deeply committed to fighting fascists and disrupting white supremacy. The Trump administration disbanded a federal advisory panel on climate change. One way to deal with climate change is to pretend it isn’t happening, and to refuse to listen to any scientists. The charter for the 15-person Advisory Committee for the Sustained National Climate Assessment — which includes academics as well as local officials and corporate representatives — expires Sunday. On Friday, the National Oceanic and Atmospheric Administration’s acting administrator, Ben Friedman, informed the committee’s chair that the agency would not renew the panel. Talk about a collision of Constitutional principles – freedom of speech on the one hand, freedom to walk around with a gun on the other. And while the NRA has been keeping its organizational mouth buttoned up tight since the Charlottesville attack, sooner or later they’ll come out with a statement about how average, law-abiding and gun-loving Americans have the right to defend themselves with their guns when faced with the threat of violence from all those left-wing thugs. Illinois Senate Overrides Rauner’s School Funding Veto; Will House Save New Equity Plan? This blog will take a 3 week, end-of-summer break. Look for a new post on Thursday, September 7. School finance in somebody else’s state seems like the ultimately irrelevant, boring, and “in-the-weeds” kind of topic. Except that what is happening in Illinois ought to interest us all because it is a microcosm of today’s ideologically driven, rancorous and dangerously divisive state politics. For years in Ohio all sorts of people have been siphoning off profits from online charter schools—the giants like ECOT, smaller online schools, and private companies with which the schools contract for management and curriculum. There have also been overpayments to nonprofit charter school sponsors, the organizations that Ohio pays as a percentage of any school’s enrollment to authorize the opening of the school and subsequently to oversee its operations. Perhaps it is more accurate to say that the state pays the sponsors to pretend to oversee charter schools while they pad their operating budgets with state money. In just a couple of weeks, my older son will start preschool. It’s not an exhaustive list, but even if it went on forever, there are a few things you can be sure I wouldn’t include: “kindergarten readiness,” for example, or even his ABC’s or colors. Sand in your bathing suit is good for your writing. Words of encouragement can help writers stick with penning words to the page. Here are some that have helped me. Starting a project is like shifting into first gear on manual transmission. A writer often hesitates, stalls, and jackrabbits before gaining momentum. It’s all about starting over – and over and over, until you’re at highway speed. Call it dreaming, calling it procrastination, call it an excuse to complete a crossword puzzle: there is something to be said for allowing the brain to freewheel for a bit – without engaging the gears. You fascists are bound to lose. Anti-fascists. Boston. August 19th, 2017. Mercedes Schneider calculated the ACT scores for the charter schools of anew Orleans. This is a statistic that State Superintendent John White doesn’t want you to know. It blows away the myth of the New Orleans miracle. “Guaranteed admission to the University of Louisiana at Lafayette (ULL) requires an ACT composite of 23. For Louisiana State University (LSU), it’s a 22. For both the University of Louisiana at Monroe (ULM) and Southeastern Louisiana University (SLU), an ACT composite of 21 is preferred, but either an ACT English score of 18 or an ACT math score of 19 is required.